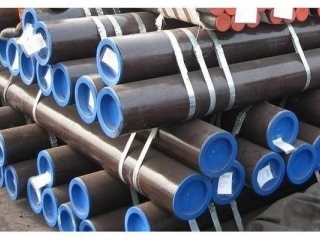 Carbon steel pipe mainly refers to the carbon mass fraction is less than 2.11% without containing deliberately added alloying elements of steel. Sometimes referred to as general carbon steel or carbon steel. Carbon steel generally also contain a small amount of silicon, manganese, sulfur, phosphorus in addition to carbon. Carbon steel pipe has different category according to various standard. (5) accoring to the quality of steel, it is divided into ordinary carbon steel (phosphorus, sulfur, higher), high-quality carbon steel (phosphorus, sulfur, low) and high quality steel (phosphorus, sulfur, lower ) and super high quality steel. Carbon steel pipe is the earliest to use the largest amount of basic material in modern industry. The world's industrial countries, in efforts to increase high strength low alloy steel and alloy steel production, which is also very attention to improving the quality of carbon steel pipe and expanding the range of varieties and use. The proportion of carbon steel pipe production in the countries' total output of steel, approximately maintained at about 80%, it is not only widely used in buildings, bridges, railways, vehicles, ships and all kinds of machinery manufacturing industry, but also in the modern petrochemical industry, marine development, has also been heavily used. Seamless carbon steel pipe is made by the perforation of the ingot or solid tube capillary, and then dial made by the hot-rolled, cold rolled or cold drawn. Seamless carbon steel pipe has an important position in China's steel industry. Seen from the caliber <φ76, accounting for 35% <φ159-650, accounting for 25%. From a variety of general purpose of the 1.9 million tons, accounting for 54%; oil pipe 760,000 tons, accounting for 5.7%; hydraulic prop, precision tube 15 million tons, accounting for 4.3%; stainless steel pipe, tube bearings, automotive tube for a total of 50 000 tons, accounting for 1.4%.